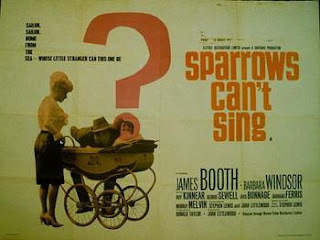 The film that gave Babs Windsor her big break is this odd little London set drama. Maggie's (Windsor) husband Charlie (James Booth) returns home after a few years at sea to find that the London he left behind has changed almost beyond recognition. That’s not all that's changed while he's been away though, since Maggie has shacked up with a new bloke. The majority of the running time is given over to the cast trying to prevent Charlie from finding about Maggie's new situation. Cor blimey, luv-a-duck etc. This is good in a time capsule sort of way, but suffers from an uneven mix of bawdy comedy and kitchen sink style drama. Great cast including Roy Kinnear, Arthur Mullard and Murray Melvin make this well worth a look if you have any interest in '60s British films.